One of the biggest hassles involved with flying involves the huge suitcases people have to lug over the course of the entire trip. The bigger they are, the more unwieldy it is to actually travel with, making the already exhausting process of traveling even more of an exercise. For all those people ready to lighten the load, the Travelmate is the perfect solution. It’s the first suitcase that can follow users around autonomously using a combination of two rugged and two precise wheels with AI learning. 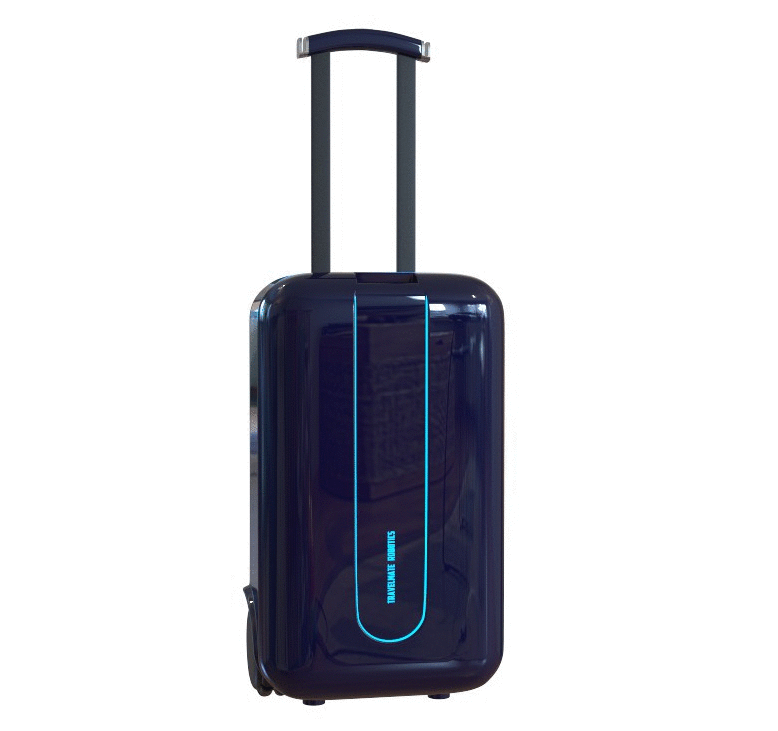 Along with its ability to process data from other Travelmates, the robotic suitcase can easily navigate crowds of people and other obstacles it encounters in a vertical or horizontal driving mode. A slew of other helpful features rounds out the product. Two USB ports and a wirelessly charging removable battery are present to top up devices, a built-in scale ensures travelers are never over any weight limits, a removable GPS tag can be used with the suitcase itself or other items, and a fingerprint lock secures the Travelmate from anyone with shady ideas. The Travelmate comes in three sizes, with its S model priced at $395, the M model priced at $495, and the L model priced at $595. All are expected to ship in June 2017 should its flexible Indiegogo campaign raise $4,000 by December 5th, 2016. The ambitious Travelmate takes the ideas introduced by the Bluesmart and runs with it, adding a layer of autonomy by mimicking the Tesla model. Still, many doubts abound: Just how rugged is the Travelmate? How will it fare with actual obstacles like bumpy streets, cracks, sidewalks, etc.? Can it? Anyone would be rightly excited for a product like Travelmate, so it would be a shame for it to fall over and damage itself on its first ride out.